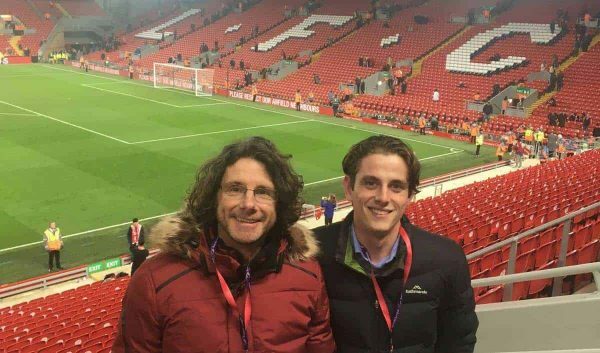 Australian Red Patrick Djordjevic shares the story of his recent trip to Merseyside – and the generosity of one of Liverpool’s national reporters. Under the floodlights at Anfield. A European night against Bayern Munich. Can it get any better? For myself, incredibly it did. Arriving on Merseyside after a 30-hour flight from Melbourne, I was swept up in the excitement of seeing Liverpool square up against the Bavarian giants. Just one day in, I thought this was to be the pinnacle of my time in England, if not my favourite sporting memory. Sitting in the Lower Main right next to the Kop, it was surreal singing along with the world’s most famous supporters. This coming after years of watching the Reds from 10,000 miles away through a TV screen. Whilst the match proved a frustrating night for players and fans alike it was a night I’ll never forget. And then, thanks to the benevolence of some Liverpool’s best journalists I experienced a week that any Kopite would dream of: visiting Melwood, gaining exclusive access to Anfield and meeting Jurgen Klopp. Not a bad week’s work if you ask me! You may ask how a young Australian came to experience these rare opportunities? Well, here is some background as to how my trip to Merseyside took an unexpected turn for the better. I have been writing about Liverpool for a while now and like many, couldn’t think of anything better than watching Jurgen’s Reds for a living. So with nothing more than a bit of hope I contacted David Maddock, Northern Football Correspondent at The Daily Mirror. I had been a fan of David’s work for some time and knew he’d spent many years covering Liverpool and Everton. Reaching out to someone of his stature – with no mutual connection – I didn’t expect a response, let alone what proceeded to unfold. Fast forward a month from the first correspondence and I was walking through the doors of Melwood – a special moment knowing all the legends who have walked the same path. I was awe-struck. Sitting in the press room and seeing one of the world’s most famous managers within touching distance. Just a week earlier I was relaxing on the sunny beaches in Melbourne, so when they say football can take you all over the world, I can certainly attest to that. I was introduced to Jurgen and got to shake his hand. Within that moment of brief acquaintance, I transformed into the little boy idolising his hero, never wanting to wash my hand again. It was a watershed moment sitting in the famous training ground knowing this is where I want to be. As Klopp addressed other members of the media, I allowed myself to imagine what life would be like covering Liverpool full-time. Undoubtedly, one of the best jobs in the world was my conclusion. Well maybe not during the Roy Hodgson era! With Liverpool facing a tricky test against Watford, Klopp was in a prickly mood but I didn’t mind one bit! Fortunately, I had been granted a press pass to the match and got to mingle with some of the nation and region’s best journalists whilst grazing on the customary buffet put on by the club. Forget the local restaurants I’d rather be having my meals inside Anfield every day of the week! As we settled into the press box, it was another pinch yourself moment for me. Sitting next to The Mirror’s Chief Sports Writer Andy Dunn, we wrote match reports side by side. You can have a guess as to who had the better piece! Anfield was bouncing and I particularly loved the defiance of the Kop chanting ‘Liverpool top of the league’ and Klopp’s customary post-match fist-pump. I was once again part of the media engaging with Klopp after the final whistle and again found myself amazed. It really is hard to describe watching something or someone from afar for many years and then getting to meet them face to face. I found it to be one of the more mesmerising experiences I’ve come across. Reds fans could almost argue its better than seeing one of the seven wonders! I thought my LFC exposure was also nearing the end of stoppage time. Then the one and only James Pearce extended an offer to spend some time shadowing him. We all admire Salah, Mane and Firmino however for a football writer, getting to meet the men behind articles you read daily was almost – and I must stress almost – as thrilling! 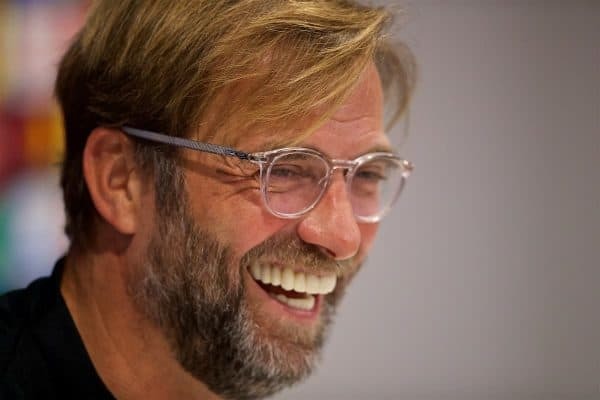 Two days before the Merseyside derby, I arrived back at Melwood with James for Klopp’s pre-match press conference, the German giving me a nod of approval as I placed my microphone in front of him. Incredible to think I’d been again acknowledged by Liverpool’s charismatic leader in any capacity! Ultimately, this proved to be the last day on my journey inside the life of a Liverpool football journalist. 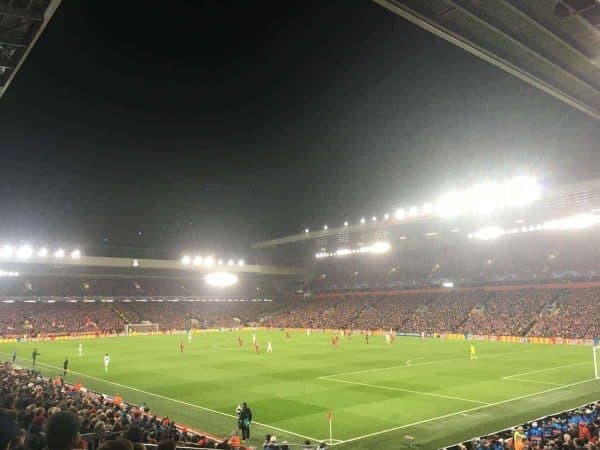 It proved only a week, yet those seven days provided me some of the greatest Liverpudlian experiences that not even Sheikh Mansour’s money could buy. ‘Make Us Dream’ is a famous banner for Kopites and it’s fair to say that Liverpool Football Club helped me achieve one of my dreams. I hope they can tick off the other one in May. * Thanks to Patrick for sharing his story. You can follow him on Twitter @patdjordjevic.